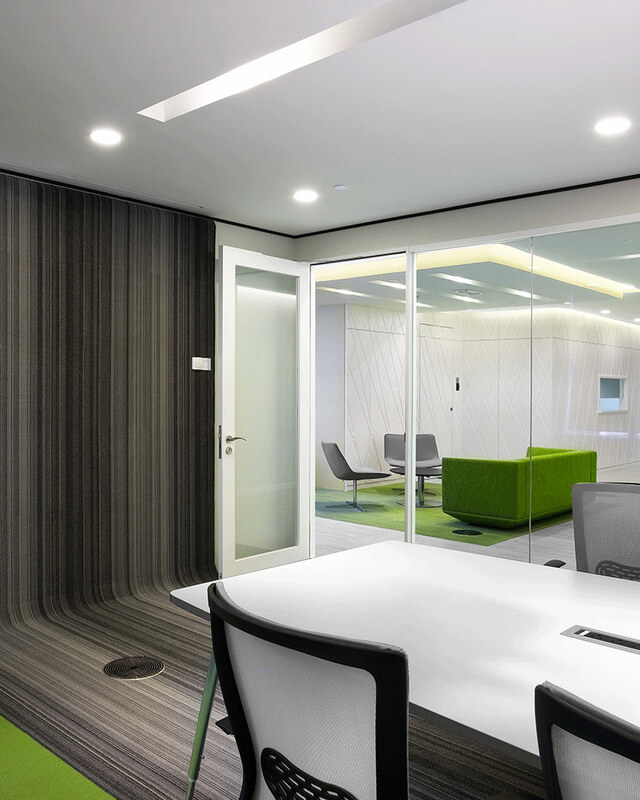 AMGeneral’s new corporate home was designed by the Steven Leach Group to encapsulate the new era of its business ethos and corresponding corporate culture. This modern office with multi-use adaptability is instantaneously defined by its transparency and inspirational design settings. A key design feature is high flexibility and collaboration, evident in the casual yet stylish cafeteria, to the training rooms on the main floor, as well as all of the operational floors. 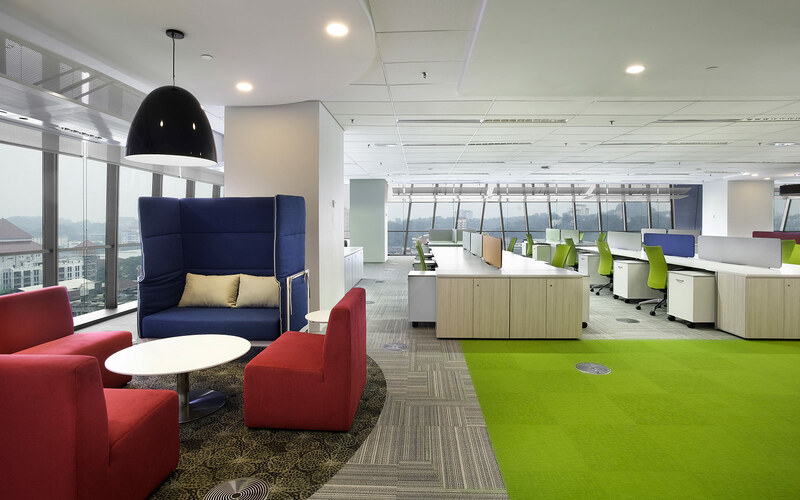 This open-plan office environment fosters effective collaboration between staff while also optimizing connections effectively. 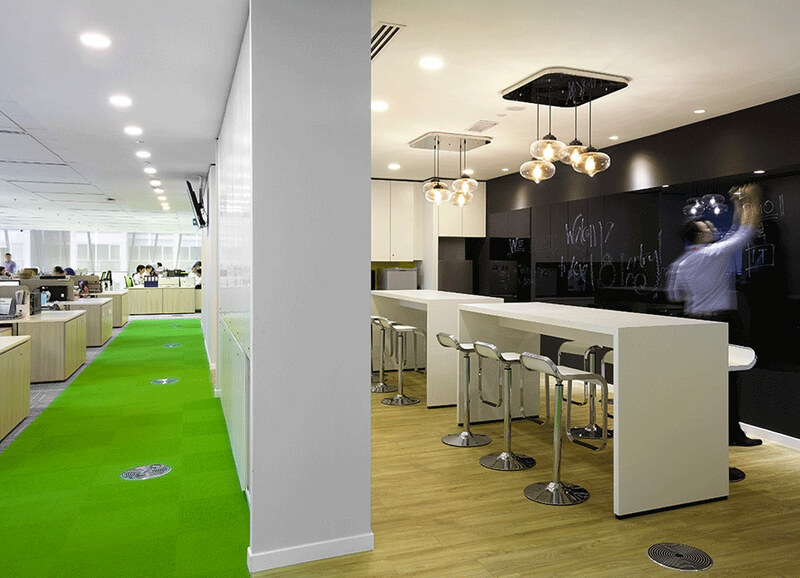 Spaces can be designed to favor the exploration of engagement and energy to achieve positive outcomes. 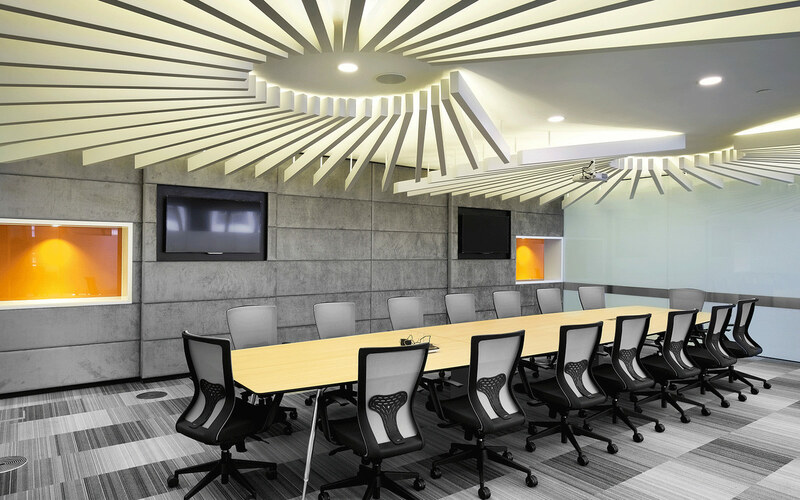 In this regard, this is an office that is designed to promote movement and collaboration. 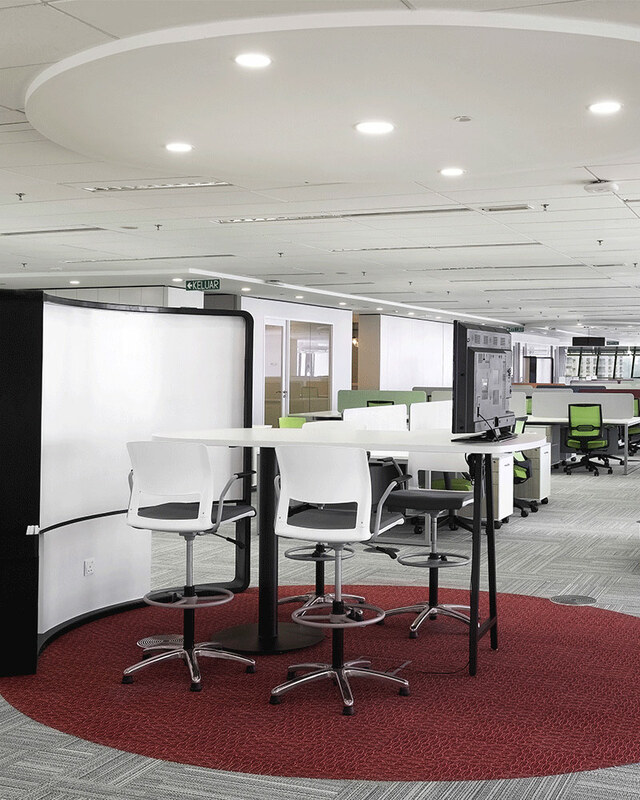 It is also a workspace that encourages high-octane brainstorming, optimum creativity and outstanding morale with an all-around sense of quality and permanence.